And how to achieve it on the high street! 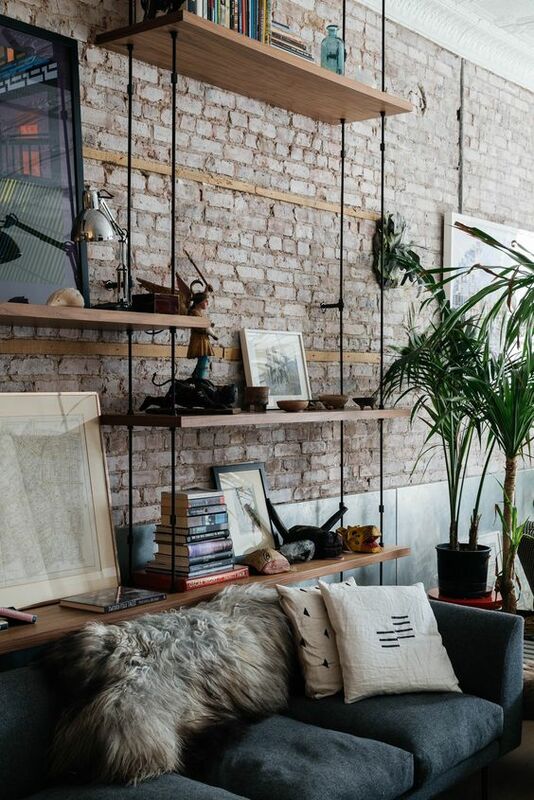 Think industrial home décor and think of exposed brick and wood, think of urban loft chic and NYC warehouses. 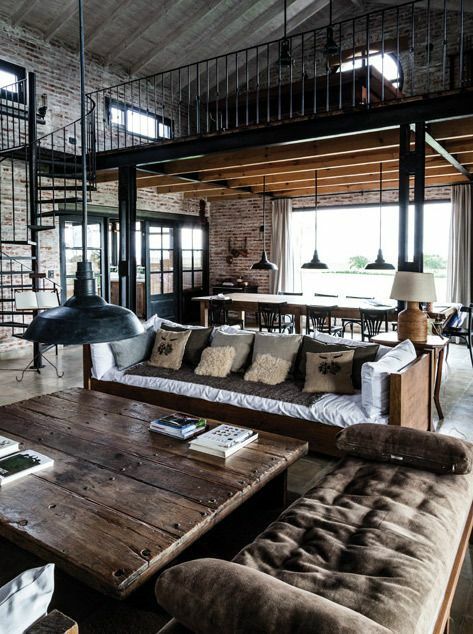 Industrial home décor is a combination of both rustic and mature, organic yet engineered. It can cover a style spectrum encompassing a modern contemporary feel with simple clean lines and defined angles over to the more classic vintage sense with detailed accessories and elaborate ornaments. 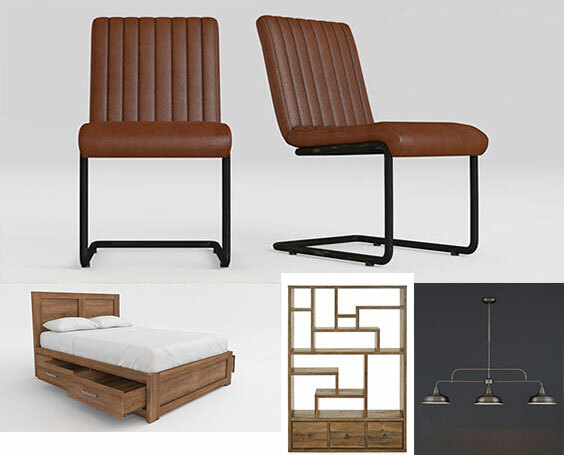 Statement elements such as smooth leather and wooden trim contrast against bare brick and bold steel. 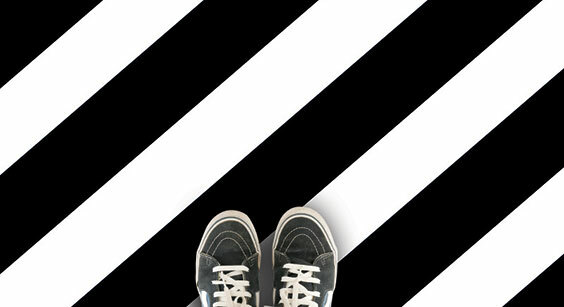 Stunning dark wooden floor slats or hip vinyl floorcoverings ebb out across a rug-strewn floor. All lit overhead by pre-loved caged pendant lights. Repurposed industrial furniture pieces remodelled as table bases or statement feature furnishings. Colour choices of deep browns and burnt oranges can be used for furniture in leather or linen. Use traditional angular designs lined and riveted with steel heads. Compliment these with sensuous subtle beiges, complex greys and greens for accessories such as rugs and cushions. There seems to be a new flavour of the industrial home décor style coming to the fore in 2017. Look to the Loft collection from Marks and Spencers with clean-cut angles, sumptuous deep greys and sandy hues, and copper accented metals. With the wooden table top and on trend metal legs, every industrial décor designed room must have at least something similar to exude the true industrial feel. Wood for the tables is often unfinished and bare. If you’re looking for a slightly softer overall look, any additional colour, like the white tabletops above, gives accentuation to the other darker shades of the room. Head over to Next where items in both their Salvage and Studio Collections blend nicely in an industrial designed home space. The Salvage Collection utilises dark distressed wood finishes and compliments with modern hard angles. Perfect design ideas for this décor style. We particularly like the Chiltern and Hudson ranges and really love the Bernie chairs. Look in this collection as well for metal storage units. These units could be repurposed or reclaimed for the lounge and living area. 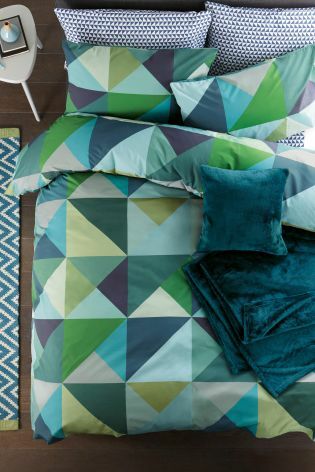 Some of their geometric prints would also create vivid contrast and maximum impact within an industrial inspired room – add with your other objects and furnishings and bring in a different colour for each mood or season. Look to some of the faux wallpaper mural finishes of exposed brick and other finishes to complete. Just because your space doesn’t have the prerequisite industrial walls shouldn’t put you off! Likewise, the flooring can also be changed simply and affordably by adding vinyl floorcovering to the room to complete the feel of the industrial loft and feel much warmer underfoot than concrete, cement or wood. 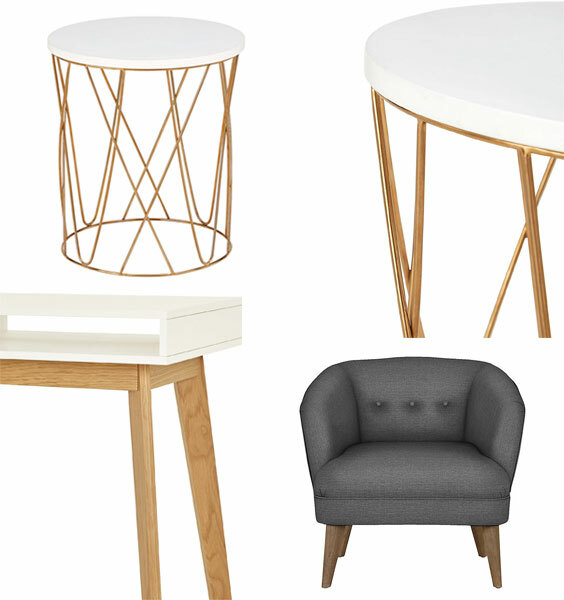 For accessories, remember that as the furniture pieces will be neutral in colour – browns and greys. There is plenty of scope for cushions and throws with colours and textures to fit in or juxtapose with the overall industrial décor style. With lighting there are many options. 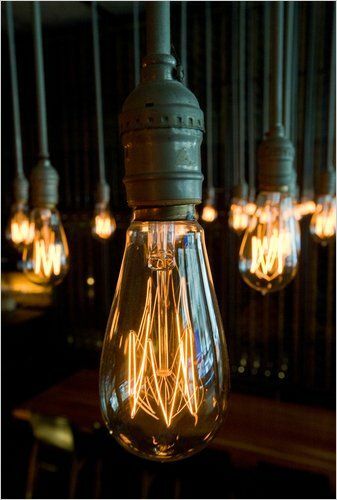 Caged pendant lights hanging from the ceiling coupled with Edison-type vintage filament bulbs can look fantastic if not too overelaborate. Imposing floor standing anglepoise reading lamps also capture the authentic industrial home décor feel – as always, in steel or copper finishes of course. This is by no means an exhaustive guide to the industrial home décor style. We do hope that it flicks the creative switch if this is to be your theme for the new year. If you’re looking for colour inspiration from something you’ve already picked up ( we call this loved object a Room Hero! ), make sure you go here to see what we can do! Please follow & talk to us on social media to let us know your inspirations and ideas. We look forward to watching you make your home more beautiful in 2017 .